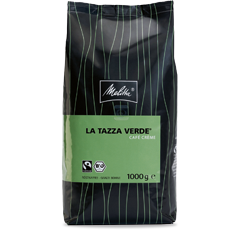 You are looking for the perfect coffee for your restaurant, hotel or the care sector? You can find it here. Guests who attach great importance to a sustainable, healthy way of living will really appreciate these three varieties. They are made from coffee beans, which are grown ecologically in highland regions of South and Central America with particularly suitable climates. In other words, they are at one with nature! Ecological farming aims to produce healthy, natural foods, whilst at the same time protecting ecosystems. 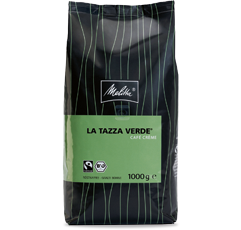 Coffee beans from highland regions in South and Central America with particularly suitable climates: 100% ecologically farmed, 100% Fairtrade and then roasted in the typically Italian way! A sustainable coffee experience with a delicate note of tropical fruit and cocoa. You can bet that your guests will just not be able to get enough - an organic full-bodied Espresso or a delicious Cappuccino? The fine crema and mild nuances of taste are the distinguishing features of this coffee wonder. Whether you are preparing an exquisite mild filter coffee or a golden-brown milky coffee, this ground roasted coffee will bring "sunshine to the soul". With delicate bitter tones and a hint of chocolate, this organic coffee blend deserves "top marks" for taste. Simply delicious! Full concentration on the a moment. This is espresso. Excellent roast and a fine selection of beans provide exceptional espressos with hazel brown crema. 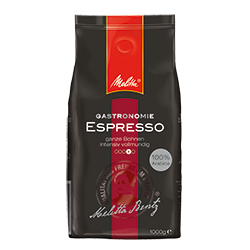 The perfect mix of high-quality Arabica and Robusta beans deliver wonderfully flavorful espresso with the special Italian flavor. Carefully selected Arabica and Robusta coffee beans form the basis for our Café Crème creations. Each bean, whether from Brazil or Vietnam, has its own strengths and its own character. Promises pure pleasure right from the very first sight, as the crema looks a fine hazelnut brown colour with a hint of red. Seconds later, coffee-lovers will appreciate the delicious mild taste, which comes from 100 % top quality Arabica beans. The fine fragrance is also a result of the exquisite blend. The beans come from countries in South and Central America and produce the full-bodied, smooth aroma, which really comes into its own thanks to the medium roasting. 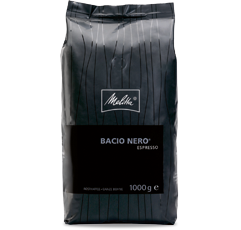 A nutty, slightly chocolatey note rounds off the composition, which is superb for making a medium-strength white coffee, milky coffee or Cappuccino. By its strong and aromatic flavour, coffee connosseurs will know, that these coffee beans have ripened in the highlands. The dark roast gives it a little taste of nut fl avour, the well-balanced and full body inspires. 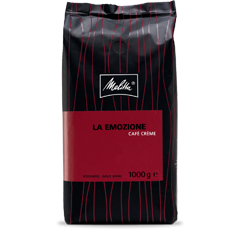 All those, who love a strong Café Créma or a rich Espresso will fall for it. 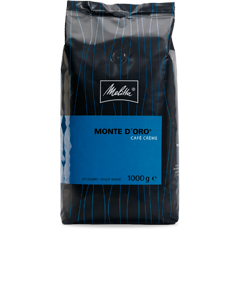 This elegant coffee entices with a light fruity nuance and a slight touch of citrus. A mild delicious coffee enjoyment. 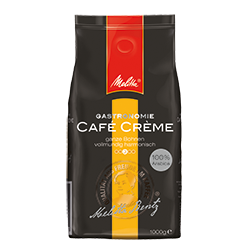 With this you create a tasty Café Créma or a delicious milk coffee. Many coffee drinkers say that decaffeinated coffee has nothing to do with “real“ coffee. We will prove them wrong : Take a well-balanced blend, fi lter out the caffeine, roast the beans and voilá – enjoy a high quality coffee. Your guests will appreciate its slightly fruity aroma – any time, day or night. This blend was created with beans from South America, Asia and East Africa . Gently roasted, these beans guarantee a well-rounded, aromatic fl avour. Its nuances remind of chocolate . 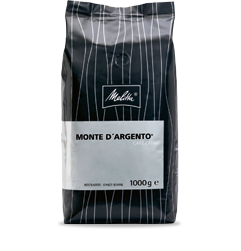 Monte d’Argento is ideal for the preparation of Café Créme and Espresso. The perfect choice for all those, who like their favourite beverage strong and aromatic. Whether by machine or handmade - filter coffee at breakfast or in the café for cake - the pot of coffee is simply a must. A blend of premium quality Arabica beans from South and Central America and East Africa with a slight fruity aroma and fl owery note. 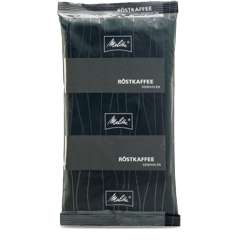 For a digestible cup of coffee this blend has carefully been decaffeinated and purifi ed with a special method. Offer your guests a full-bodied coffee enjoyment at any time. 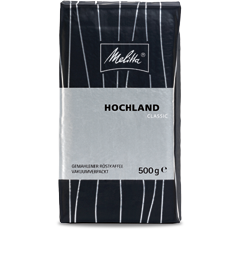 Our Hochland offers a delicious coffee enjoyment of high quality and especially blended Arabica beans. It will keep its full aromatic flavour, even after some time. The interplay of selected flavour and malty finesse gives this economical coffee creation a very special note. Don’t be surprised when you see your guests with happy smiles. Mild coffee beans are the basis for this fine coffee enjoyment . A well-balanced blend and the gentle roast gives our Edelmild the special nuances.Even if you keep the prepared coffee for a little while, this coffee composition will still have its full flavour and aroma. 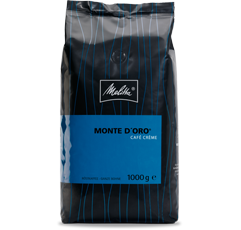 With this blend you will succeed in having an aromatic filter coffee or milk coffee. This is a particular mild roast of premium quality Arabica coffee beans from Central America and East Africa. A perfect basis to offer magnifi cent milk coffee or a full-fl avoured fi lter coffee. 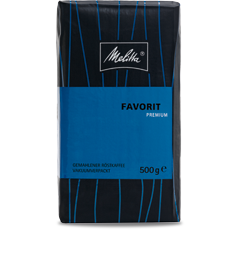 Our Favorit entices with its mild aroma and a slight citrus note. 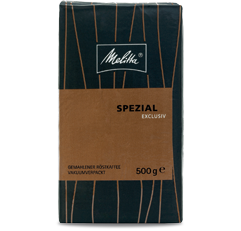 Very tasty with a touch of chocolate: That is our Spezial – consisting of a wonderful compostion of selected green coffee types from South and Central America, East Africa and Asia. 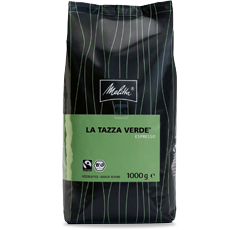 Purified in a gentle roasting process, this coffee is particularly attractive because it is also economical. Your guests will appreciate this strong, well-rounded coffee experience. 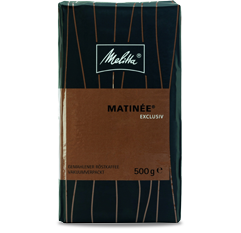 Matinée guarantees a full-aromatic coffee enjoyment with a slight chocolate note, no matter if you use it for fi lter coffee or milk coffee. This coffee blend is full-bodied and well-balanced. The perfect choice for times when large quantities of coffee are needed: e.g. 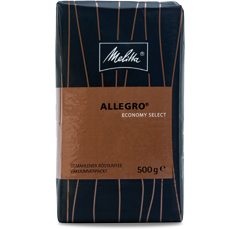 for your breakfast buffet our afternoon coffee breaks..
We recommend Allegro for occasions when 20 or 30 litres of fi lter coffee will be needed in a short time. 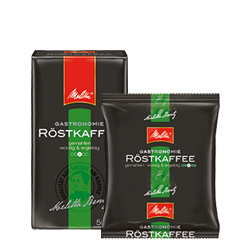 100% premium quality Robusta beans from Asia provide an aromatic coffee enjoyment with a touch of chocolate. Allegro is the perfect blend for your breakfast buffet or afternoon coffee break for your guests , and the perfect choice for hospitals and canteens. 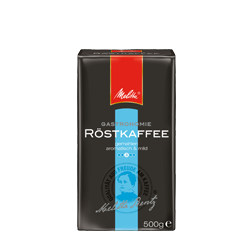 A Melitta coffee enjoyment that keeps its promises. Products specialy made for the wholesale. goes a long way, it is ideal for use with fully automatic coffee machines. 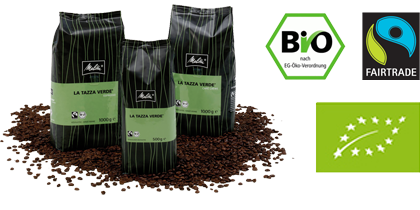 100% top-quality arabica beans from Central and South America for an elegant and balanced blend with a full-bodied taste. 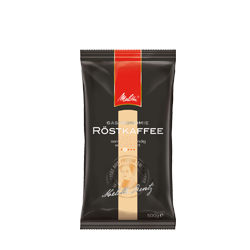 This medium-roast composition releases a truly exquisite café crème with a settled, golden brown crema in every cup. 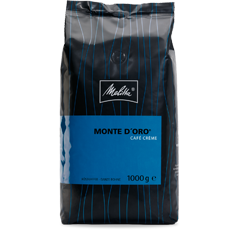 As this harmonious blend goes a long way, it is ideal for use with fully automatic coffee machines. 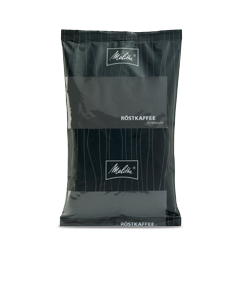 100% top-quality beans from Asia for a delightfully aromatic coffee. A delicious taste with a hint of chocolate. As this blend of the finest medium-roast beans goes such a long way, it is ideal for use in the restaurant and catering sector. 100% best beans from South and Central America, Asia and East Africa. 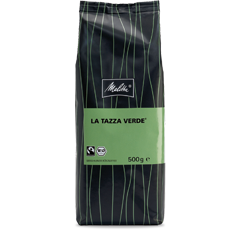 A powerful well-rounded coffee experience with a hint of chocolate for the highest yield and an aromatically mild flavour. 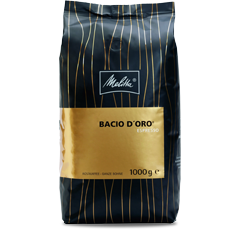 100% best Arabica beans exquisitely refined using a gentle roasting process. This decaffeinated composition from South and Central America and East Africa impresses with its fruity notes and full-bodied experience.